In the past five or six years, I’ve increasingly heard the sentiment locally and through other channels that social camps are useless and have nothing to do with Scouting. After all, are there the markings of a traditional scout camp? Not really. Heck there’s even dances and jello wrestling at one of them! Like customer service bad events are always shared with 7-10 people while good events are only shared by 1-3 and I wanted to explain with the help of some local Rovers what exactly what they are and what value they bring to the program of Venturer Scouts and Rover Scouts. 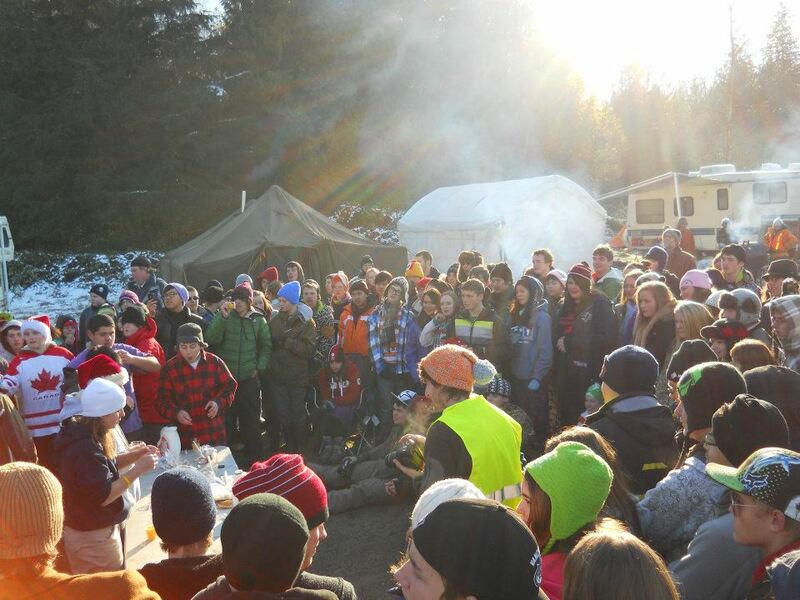 Social camps in south-western British Columbia include four (4) main events spread out over the Scouting year. There is a new social camp, Camp Coyote and some smaller Rover Moots that supplement these main program markers. Each(aside from the Rover only Moots) are open to Venturer Scouts, Rover Scouts and members of Girl Guides of Canada aged 15-30 as well as their respective Advisors. It’s also open to other WOSM organizations; we’ve had Australians and Americans attend at least one of these events in any given year. Camp attendance varies from 300-700 participants (Youth and Advisors) from Pacific Coast, Fraser Valley, their respective Girl Guides of Canada areas and occasionally groups from Washington State. 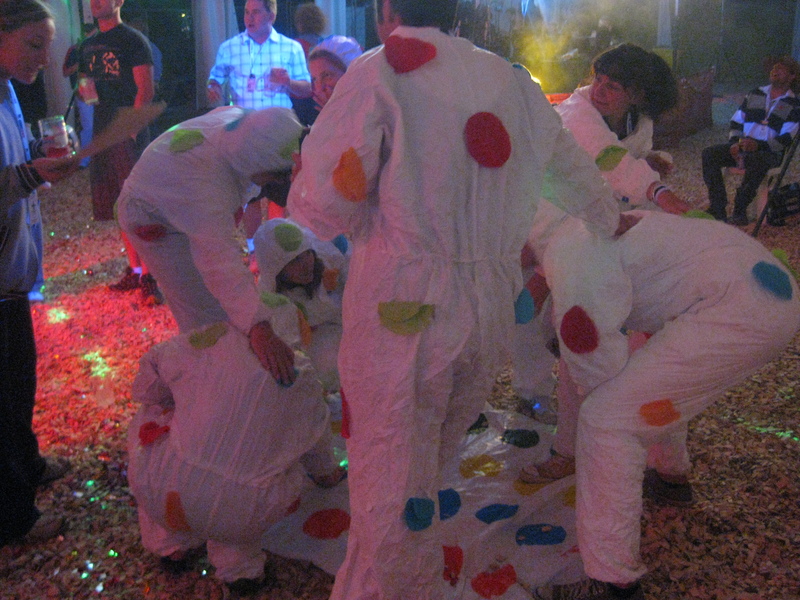 Saturday is the main day of activities, usually culminating with a dance on the Saturday night. 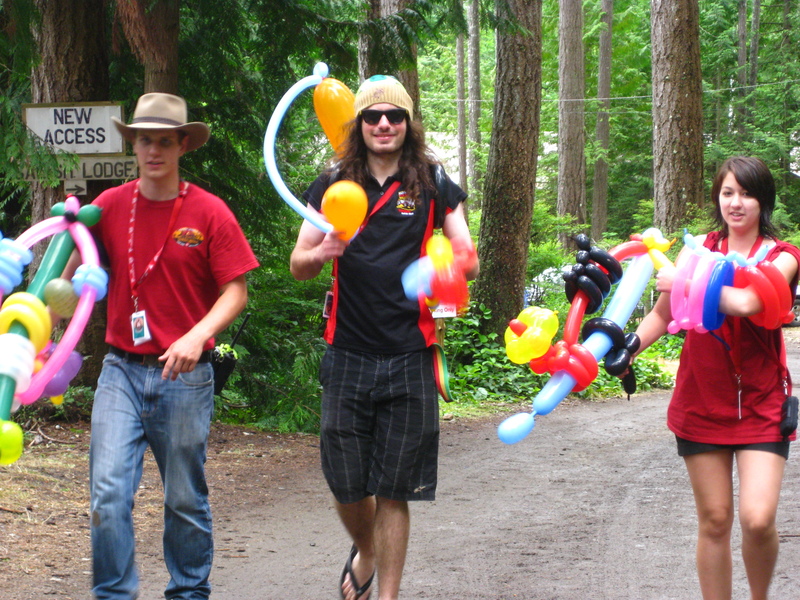 Awards for events are typically presented at Camp Closing on Sunday morning. 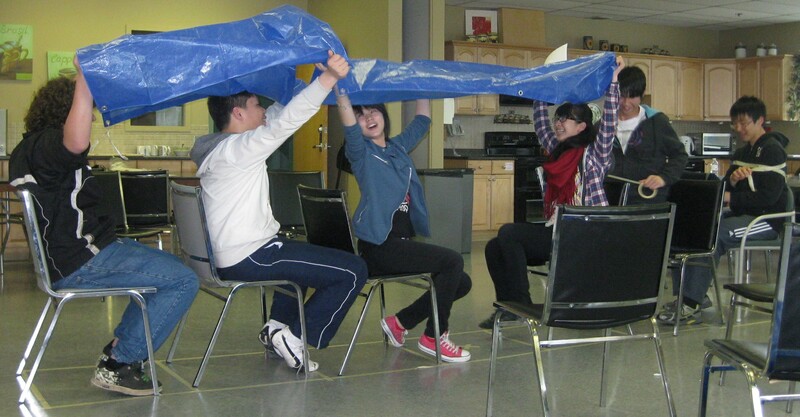 Groups attending are responsible for everything they need for a weekend of camping, aside from program. All groups are expected to come with Advisors and their own camp forms. Advisors are responsible for their own youth at all times. Any major breaches of the BP&P are handled by sending the group home immediately (even if it’s at 2am and the parents have to drive out to pick them up), and a formal complaint is lodged with Scouts Canada by the group running the camp. Minor infractions are handled at camp between the Camp Chief and group(s) involved in the mischief. Most of these camps are run by volunteer staff that are aged less than 30, with the majority of planning done by youth 18-25. RoVent is the exception to this; “Friends of RoVent” do a lot of the planning and execution of this event, but are continually looking for new members to run the camp and aim for a Rover to be the Camp Chief. Simply amazing. Adventure, and to do so with old and new friends alike is the definition of Scouting. To see two well run events by Rovers, for Rovers, was empowering and exciting. The stories and lessons learned will continue to serve me for years to come. The weekend after getting back from Australia was the first of three weekends to learn how to be a level 2 trainer. Lots to learn, and really helps to focus the teaching. Still have to go as a trainer to more courses in order to get my third bead. Should get that done in 2012. I had the pleasure of training a third Focus course in 6 months. The fellow trainers who came out to assist me really stepped it up, given that I was out of town for the month prior. Couldn’t have done it without them. Oh, and the participants were awesome too. Wow! What a totally amazing, excellent discovery! I wanted to make the next step, and applied for a Council position. While I ultimately did not get the position, the opportunity taught me a great deal that can be applied to so much in my future life. Funny how that happens with Scouting. Many of you know, but perhaps not all, that I am currently down in Australia for OZ Moot and Surf Moot. OZ Moot is the Australian National Moot (think jamboree but for Rovers) which this year is in Adelaide. You can follow me along with my GPS tracker as I gallivant across the country side. I’ve already uploaded some pictures and made short comments about my trip to date. To sum it all up, OZ Moot has been a blast. Today is day 11 of the camp, Toga party night. I’m headed off to a Zoological reserve in an hour, then it’s back for dinner and the inter-contingent challenge cup. The bar opens at 7:30 and won’t stop till the early morning. Canada really needs to get off this whole dry events stuff. More photos and posts in the days to come. As with most days of the week, I have a crazy idea. This one has been slowly growing in momentum. It isn’t fully fleshed out, but it does have some research behind it. The idea’s history can be traced back to almost a year ago to during Desert Bus for Hope 3. At some point during this highly addictive to watch marathon gaming session telethon fundraiser, the organizers pointed out that a gaming podcast had interviewed them about their endeavor. The interview is the first 13 minutes. The podcast, “A Life Well Wasted”, is fantastic in the way it covers the stories of creators, users and games as an art form. Desert Bus happen be starting a fourth go at the fundraiser for Child’s Play on November 19th, and if past years are anything to go off of, should finish around six to seven days later! Last year they raised over $140,000 alone. Make sure to check them out. Now that wasn’t the particular podcast episode that was the inspiration. The next episode, “Episode six – Big Ideas”(NSFW), is where this kicks off. Now as a note, the part that inspires me is safe to listen to, (24:35-40:00) but the latter part is “Not Safe for Work“. I cannot recommend listening to the Big Games part of the podcast enough. It is the single link you must follow from this article. In summary, a group put on a city wide game, called The Big Urban Game, where everyone could participate by looking in the newspaper that day and sending in their choice. 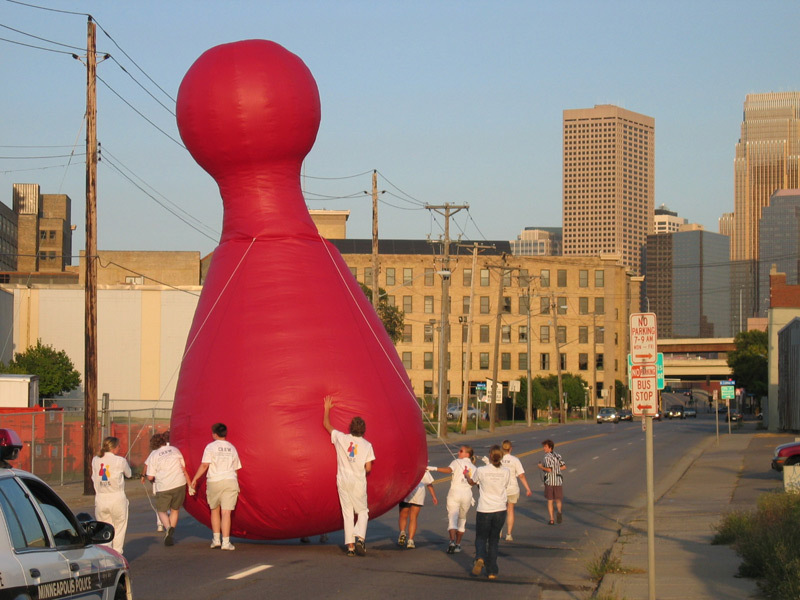 The game was three giant 25 foot high inflatable game pieces that raced about the city. The choice the public got input on was the route each of the pieces would make, which they could find in the newspaper. This creates a new way of thinking about your city since one would have to think out possible routes in light of hills, low overhangs, traffic and other potential obstacles. This further developed into “The Big Games Manifesto” which tosses out the old paradigm of games in computers, for games with computers in them. Now Scouting has been doing mass real world games for years. Wide games. The interviewee spoke about how it would be interesting to even develop the idea of games for 200 people. So this is what I want to do. A real life, city wide game. But with a purpose. That’s the Scouting way. What are you doing October 29th, the Friday of Halloween Weekend? You will more than likely be sitting at home handing out candy, or standing for hours in line for a club. How would you like to cut through that line on one of the busiest nights of the year? Ceili’s Irish Pub is offering us tickets to their “1 Knight Stand” party. Not only do you get in, you go on the guest list. Meaning, no line up. Now what would you normally pay for this kind of service? $30? $20? Well do we have a deal for you. For the low low price of $10, you get cover and the experience of walking passed hundreds and walking straight into the event. Now call us crazy, but that’s not all. We’ll even throw in the first drink if you get there before 9. That’s right, free booze. Plus there will be a strong Rover community presence. If you want in, and you’d be a fool to not want in, contact me for the hook up at Nick -at- pccrovers.com.